Join Us in Poland & Germany This Summer! 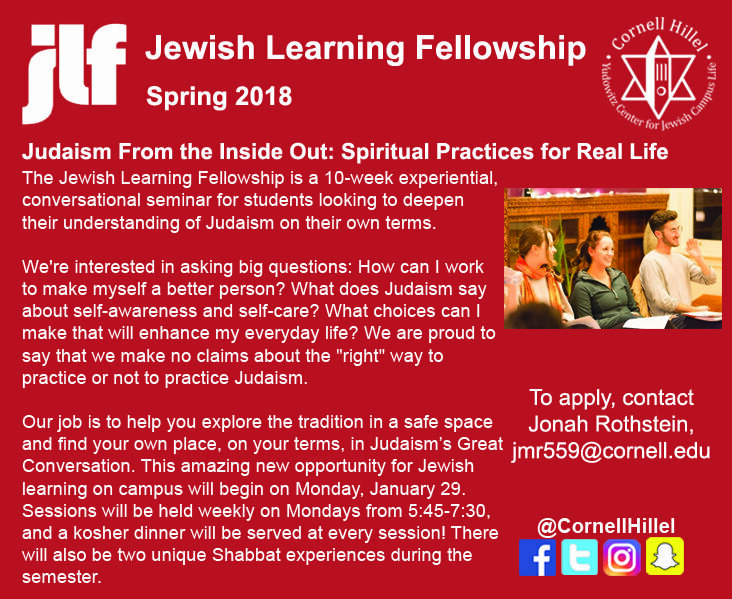 Looking for an exciting Jewish service opportunity this summer? Then you should sign up for our Alternative Summer Break trip to Poland and Germany! 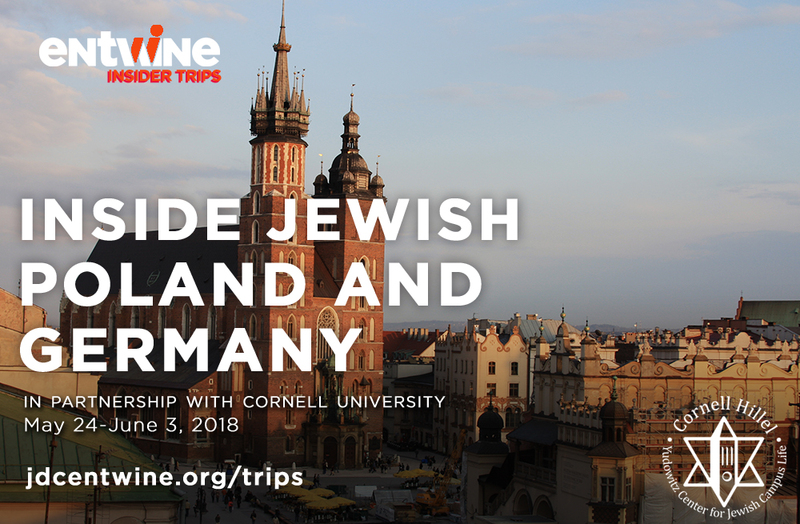 Join us for an all-inclusive trip featuring educational tours, conversations with local leadership, a reflective visit to Auschwitz, meaningful service work with children and the elderly, and a cross-cultural Shabbat experience with the Eastern European Jewish community. The trip runs from May 24-June 3, 2018 (these dates include travel to and from a NYC-area airport). Sign up by December 31 to take advantage of a special early bird price of only $700! The price goes up after December 31. 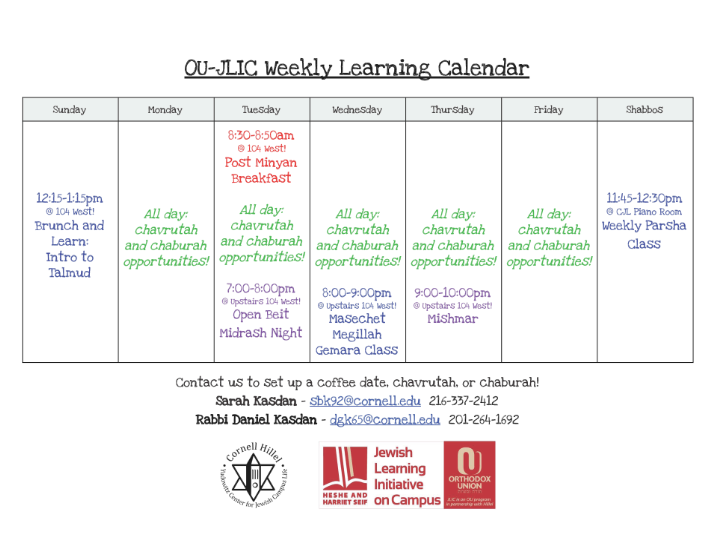 Still here for finals and looking to celebrate Hanukkah? 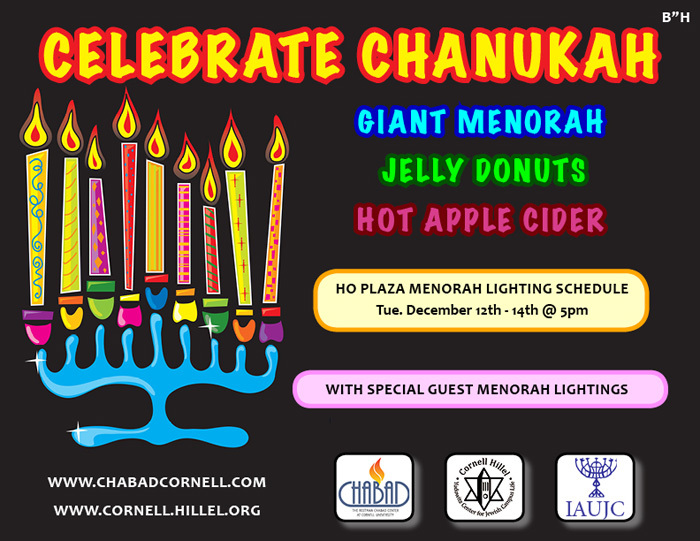 Come out to Clara Dickson Hall on Tuesday, 12/12 at 4:30pm for candle lighting, dreidel games and PLENTY of food! Give yourself a break and get the chance to light candles together! Questions? Contact Maddie Feldman. More information.